Migliaccio & Rathod LLP is investigating unfair and deceptive business practices by funeral homes, particularly in the promotion and sale of pre-need funeral contracts. Pre-need funeral contracts are billed as a way for the elderly to wave away any issues that survivors may face in arranging funeral services. These plans are often rife with problems, however, including hidden fees and misappropriation of funds. As a result, most pre-need contracts are well-regulated by state and local disclosure laws. Washington D.C.’s law, for example, contains a host of regulations, including that the contracts: be written in clear language, state that they are not insurance products, and disclose any geographic or other restrictions. 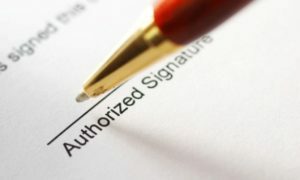 Pre-need funeral contracts should also state all of the terms for the funds placed in an escrow account, such as the amount to be deposited, the name of the financial institution holding the escrow account, the disposition of the interest, the fees, expenses, and taxes that may be deducted from the interest, and the contract purchaser’s responsibility for any taxes owed on any interest. Have You Purchased a Pre-Need Funeral Contract?